Sigma Science has an easy-to-use method of assessing pupils’ attainment in Science at Key Stages 1 and 2. It is designed to complement Sigma Science’s scheme, which is based around the individual units in the New National Curriculum for Science 2014 Schemes of Work, but can also be used independently of it. These are the methods, processes and skills required to carry out successful investigations, represented by ‘Working Scientifically’ statutory requirements of the New National Curriculum for Science 2014. This is the unit-specific knowledge that each child has acquired, represented by the programmes of study in Key Stage 1 and 2 of the New National Curriculum for Science 2014. Scientific enquiry is assessed via focused observation of pupils’ applying methods, processes and skills while planning and completing investigations. Scientific knowledge and understanding is assessed via short end-of-unit tests. Sigma Science Assessment can support teachers in providing a National Curriculum assessment in both Key Stages and all Year Groups for both scientific enquiry and scientific knowledge and understanding. These can be combined to provide an overall level for attainment in Science at the end of an academic year and Key Stage. Teachers observe groups of pupils performing investigations. They use a Group Observation Notepad to record the skills demonstrated by each pupil. We recommend that pupils be observed in this way between three and six times during each academic year. This will clarify and support teacher judgements before they make final assessments regarding each pupils’ enquiry skills within their key stage and year group. The Group Observation Notepads are designed to be working documents that gather ‘snap shots’ of each pupil’s developing scientific enquiry skills which will aid the teacher in making ‘final’ judgements. The teacher transfers each pupils’ information from the Group Observation Notepad to an individual Pupil Assessment Record. Teachers administer a brief written test at the end of each year group unit. Each pupil’s test score can then be transferred to their individual Pupil Assessment Record. At the end of an academic year each individual pupil’s cumulative score can be converted to a percentage. 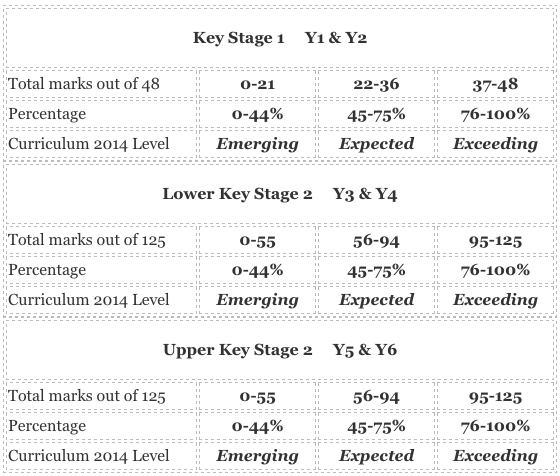 This percentage will then provide the teacher with a ‘Standard Achieved’ judgement (emerging, expected or exceeding), in relation to the expected learning within their year group. Teachers can use the Pupil Tracker to record the attainment of all pupils in Science through Years 1 to 6. The Pupil Tracker can be used to monitor a pupil’s progress in Science throughout their career in Key Stages 1 and 2.